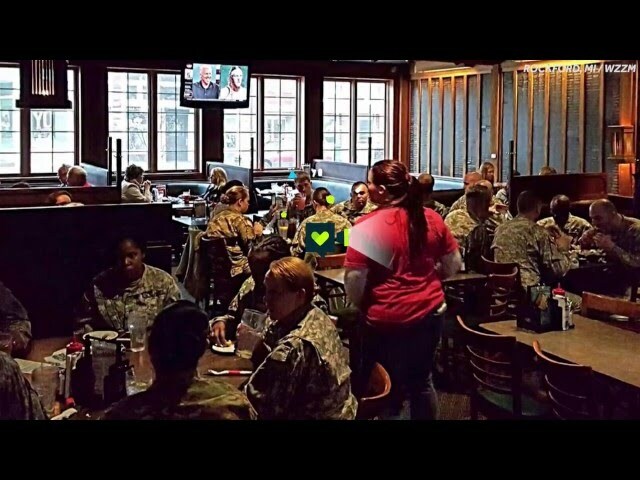 One day, a group of Michigan National Guard troops decided to take their lunch break at a nearby restaurant. They didn’t think much of the outing. That was until one customer asked to speak to the manager. Any server who gets this request gets instinctually apprehensive. When a customer asks to see the manager, it’s usually because they’re unsatisfied with their experiences. Fortunately, this was a totally different situation! “A guest wanted to speak to the manager. Typically, when that happens you think, ‘oh no, what am I going to hear.’ I went out to the table, and the gentlemen informed me that he wanted to pick up the tab for the service men and women that were in there,” Corner Bar manager Emma Boehms told USA Today. The anonymous customer picked up the entire tab that totaled more than $170 and left a generous tip of 25 percent. They were adamant about keeping their identity secret, so you know they were helping the troops out because they meant it and not for any other reason. But Boehms wasn’t the only one who was grateful. The troops were pleasantly surprised that they had a generous benefactor!